Iceland could become a "journalism haven" if a proposal put forward by some Icelandic MPs aided by whistle-blowing website Wikileaks succeeds. The Icelandic Modern Media Initiative (IMMI), calls on the country's government to adopt laws protecting journalists and their sources. It will be filed with the Althingi - Iceland's parliament - on 16 February. If the proposal succeeds it will require the Icelandic government to consider introducing legislation. Julian Assange, Wikileaks' editor, told BBC News that the idea was to "try and reform Iceland's media law to be a very attractive jurisdiction for investigative journalists". He has been in Iceland for a number of weeks and is advising MPs on the IMMI. The hope is that journalist-friendly laws will encourage media businesses to move to Iceland. "If it then has these additional media and publishing law protections then it is likely to encourage the international press and internet start-ups to locate their services here," Mr Assange said. He believes the political mood in Iceland is receptive to the need for change. "The Icelandic press has itself suffered from libel tourism, so there does seem to be the political will to push this through." 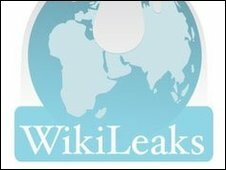 Wikileaks is a non-profit website that has established a reputation for publishing leaked material. In October 2009, it posted a list of names and addresses of people said to belong to the British National Party (BNP). Other high-profile documents hosted on the site include a copy of the Standard Operating Procedures for Camp Delta, a document that detailed restrictions placed on prisoners at Guantanamo Bay. It recently had to suspend operations because of a lack of funding. The IMMI aims to pull together good practice from around the world and incorporate it into a single body of law. "We've found good laws in different countries but no country that has all of these laws put together," said Mr Assange. The proposal has been informed by Wikileaks' experience in fighting legal threats to publication. "In my role as Wikileaks editor, I've been involved in fighting off many legal attacks," Mr Assange said in an e-mail. "To do that, and keep our sources safe, we have had to spread assets, encrypt everything, and move telecommunications and people around the world to activate protective laws in different national jurisdictions. "We've become good at it, and never lost a case, or a source, but we can't expect everyone to go through the extraordinary efforts that we do." Measures in the IMMI include legal protection for sources and whistleblowers and the protection of communications between sources and journalists. The proposals also include steps to end so-called "libel tourism", the practice of pursuing libel actions in the most favourable legal jurisdiction irrespective of where the parties are based. But legal threats are faced not just by journalists, but by publishers, internet hosts and other "intermediaries", Wikileaks said. As a result, the proposals include plans to clarify the protection for "mere conduits". Wikileaks has been working with a small group of Icelandic legislators on the issue. One of the proposal's supporters, Birgitta Jonsdottir of The Movement, a political party with 3 MPs in the Icelandic parliament, told the BBC that she was confident the measure would become law. "From what I have experienced from discussions with MPs from all the different parties, there is incredible good will," she said. "We don't want to be the Vikings of transparency in the way the bankers presented themselves," she said. But Ms Jonsdottir believes that making a strong statement in favour of freedom of expression could be a way for Iceland to create a positive new identity. "There are still very many Icelanders who feel ashamed. I think it is part of the self-recovery we have to go through," she said. At a meeting with a small group of Icelandic MPs about the IMMI, to which the BBC had exclusive access, Mr Assange stressed how Iceland's image would benefit from becoming a champion of free speech. For example, one of the proposals calls for the creation of The Icelandic Prize for Freedom of Expression which "promotes Iceland and the values represented in this proposal". Whether arguments like that are persuasive enough to convince a majority of Iceland's legislators remains to be seen. Mr Assange says that at present around 14 MPs are known to support the proposal. There is also interest in the IMMI among some members of the Icelandic government. The Icelandic Minister for Education Culture and Sports Katrin Jakobsdottir told the BBC that she thought that "the general idea was good" and said that she thought that it "might get positive support". But she stressed that it was very early days and that the changes would involve many ministries. She said that elements of the proposal coincided with changes to media law currently being considered by her department. But not everyone is convinced of the need for an Icelandic "journalism haven". 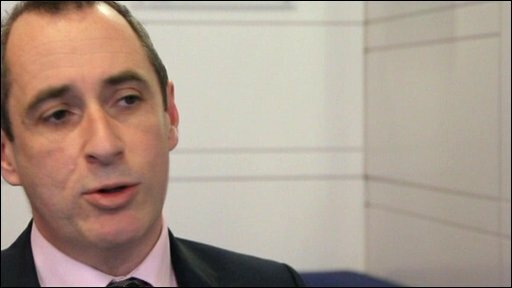 Andrew Scott Senior, lecturer in law at the London School of Economics and a critic of the need for extensive libel reform in the UK, said that caution was needed. "The provisions allowing defendants to counter-sue 'libel tourists' in their home courts could transform the humble Icelander into a legal superman, virtually untouchable abroad for comment written - and uploaded - at home," he said. "Its debatable whether such laws are ever appropriate." His view is not shared by Mr Assange. "We have received approximately 100 legal threats in the past 18 months so we are keen to see legislation that protects the press and quality reporting", he said. At present Wikileaks operates in a number of different jurisdictions to "take advantage of good laws," he said. "It seems the Icelandic proposal is going to pull all those laws together and put them in one place." You can hear more about Wikileaks during the BBC's SuperPower season on the BBC World Service.